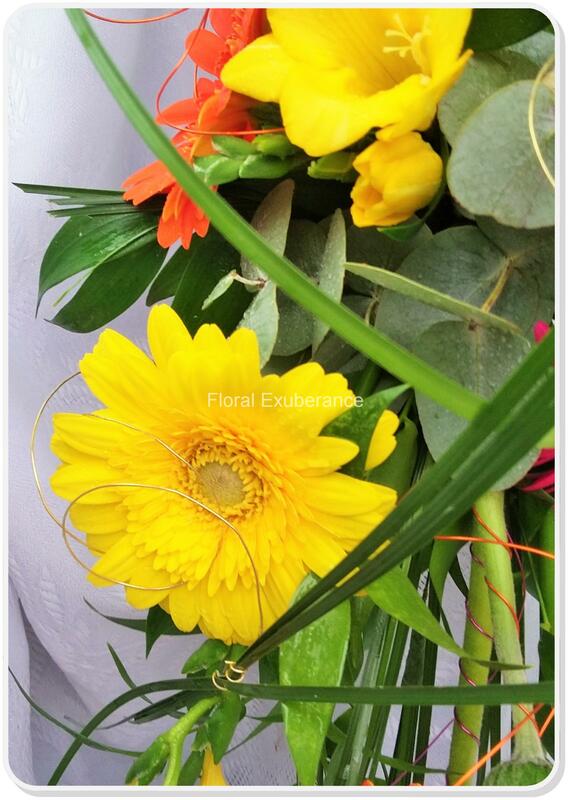 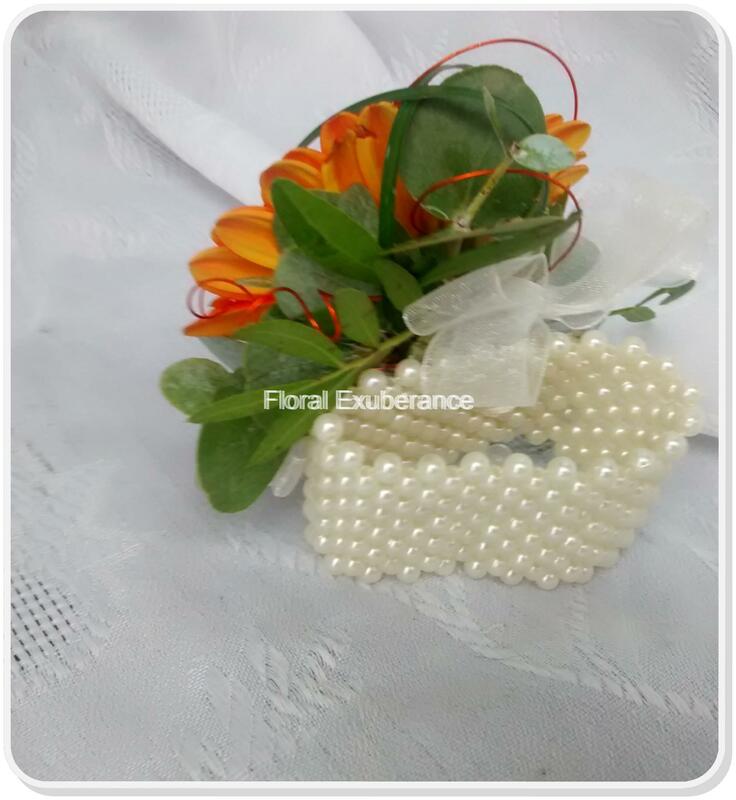 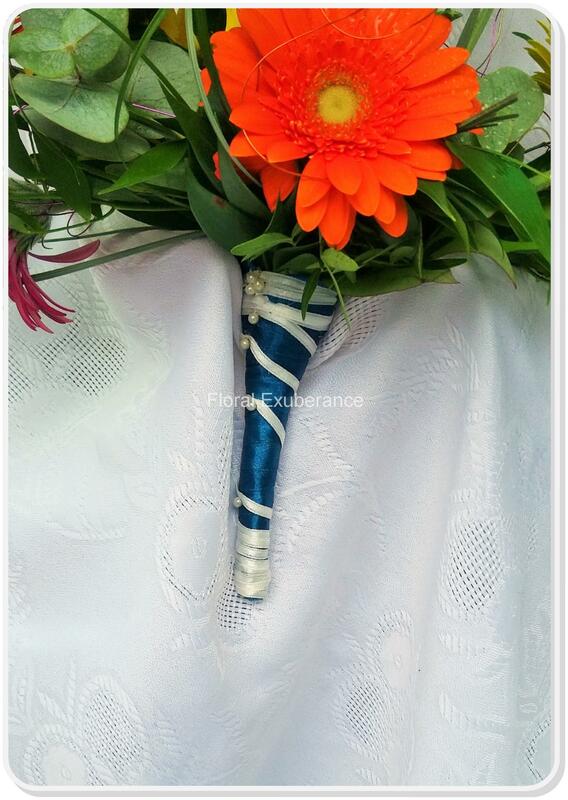 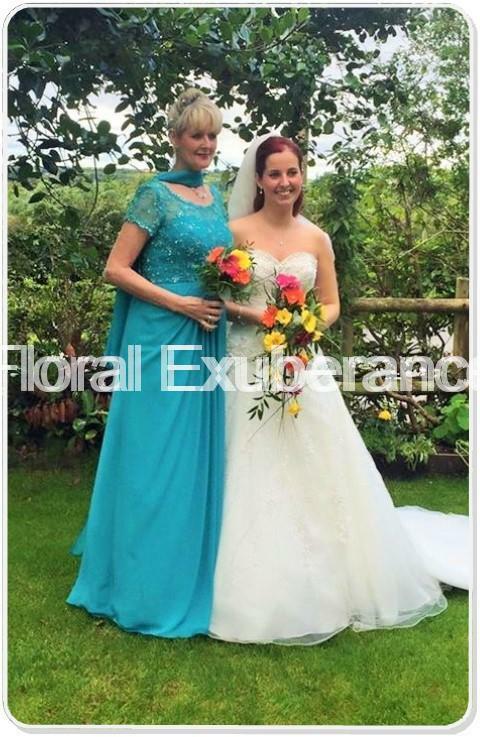 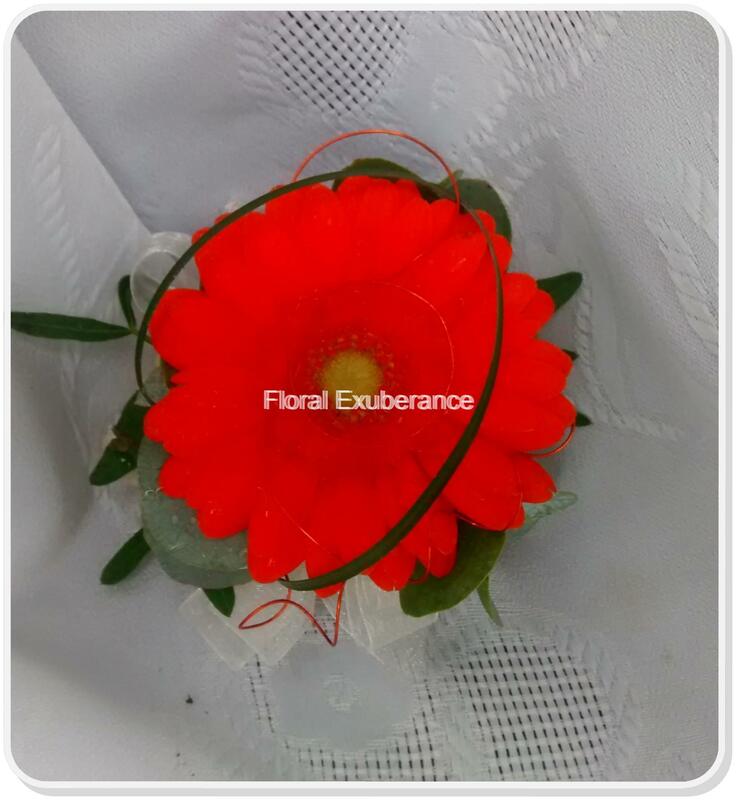 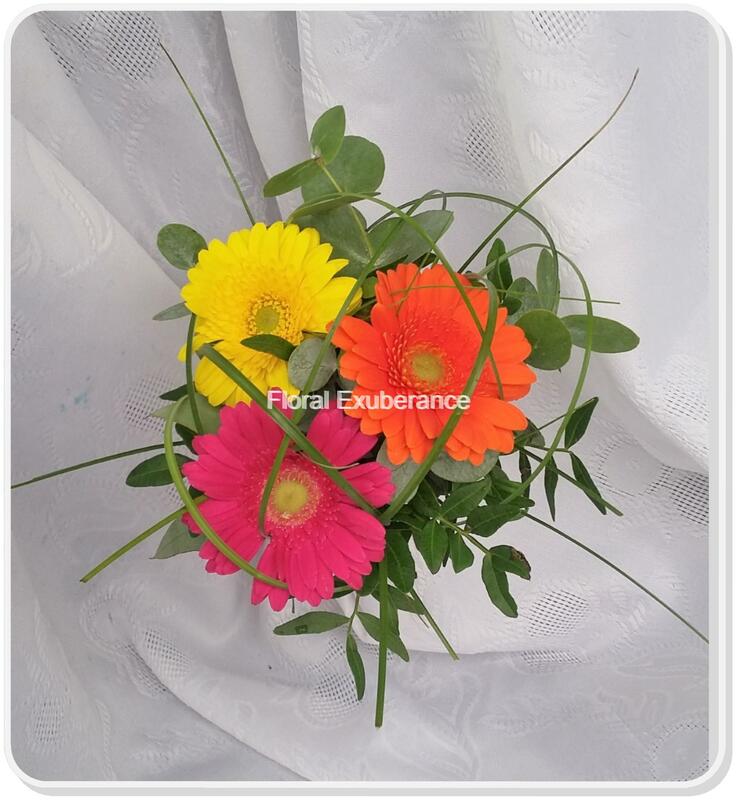 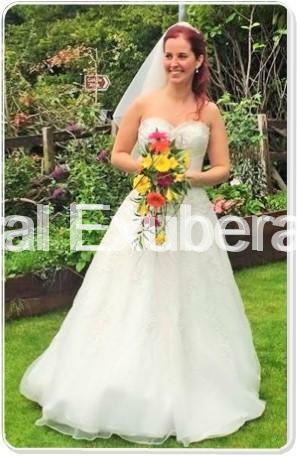 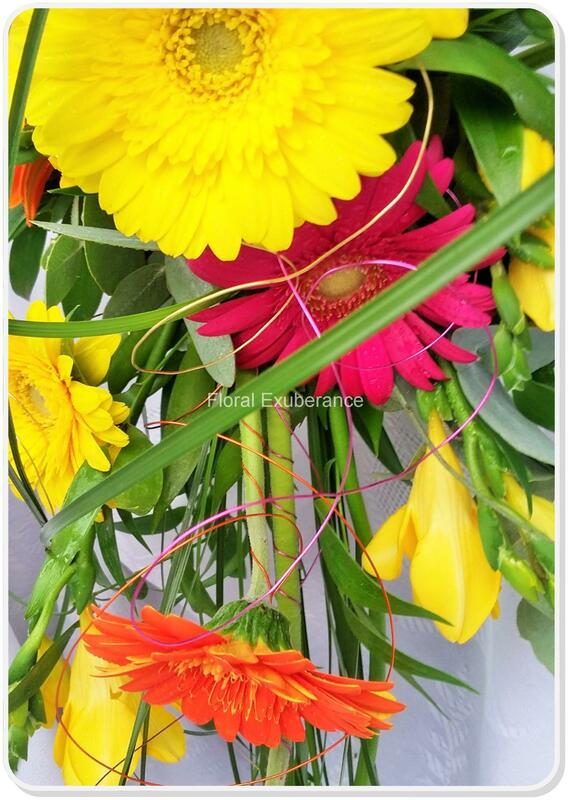 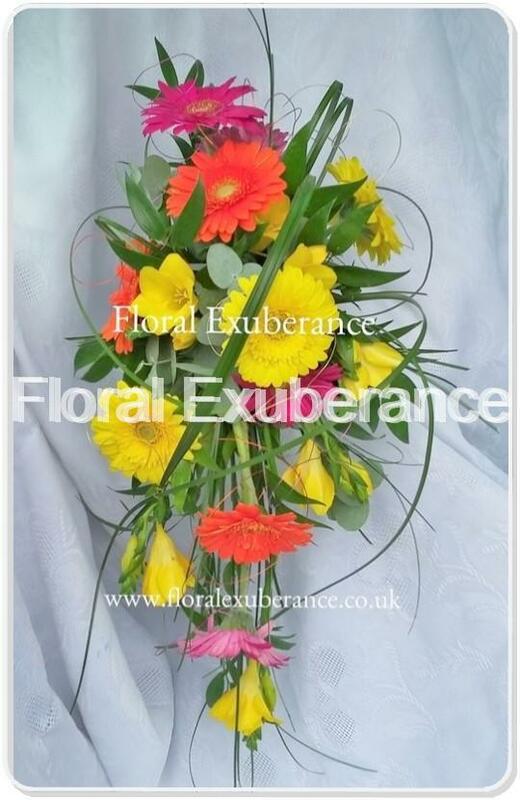 Jo had gerbera and freesia with a modern twist in her design. 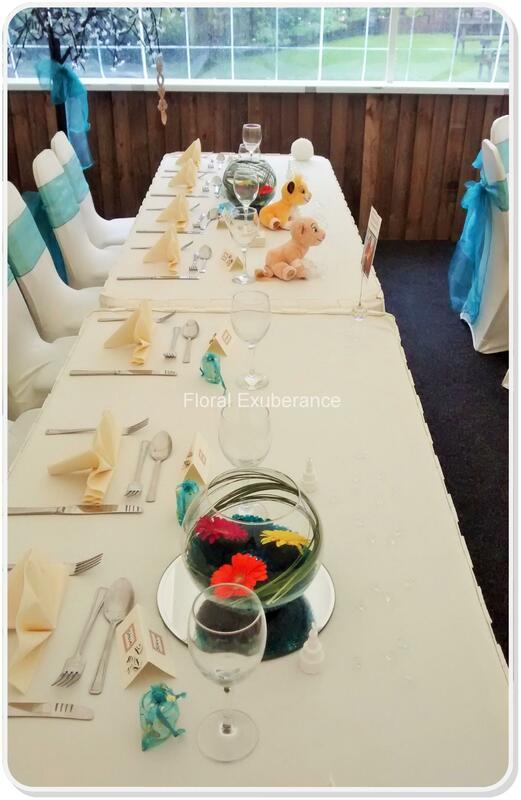 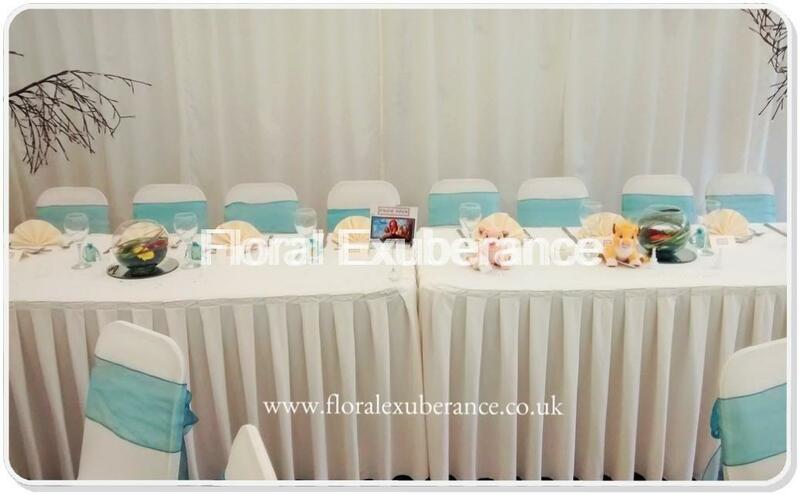 Her venue flowers were simple goldfish bowls with gerbera and blue gel. 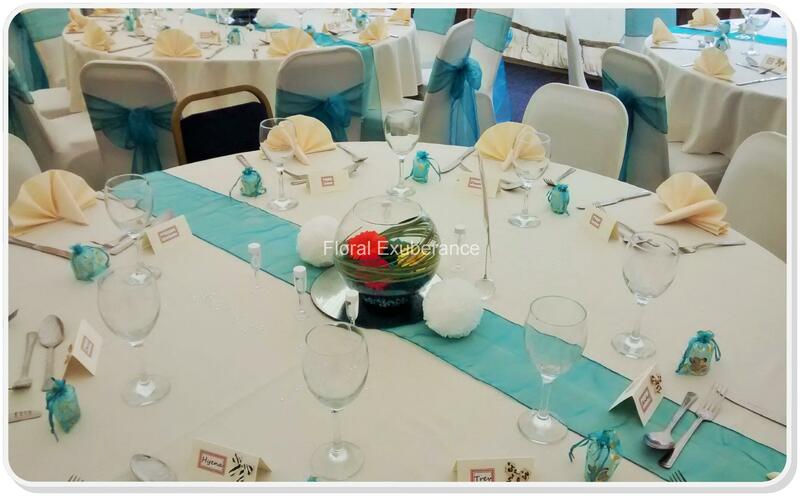 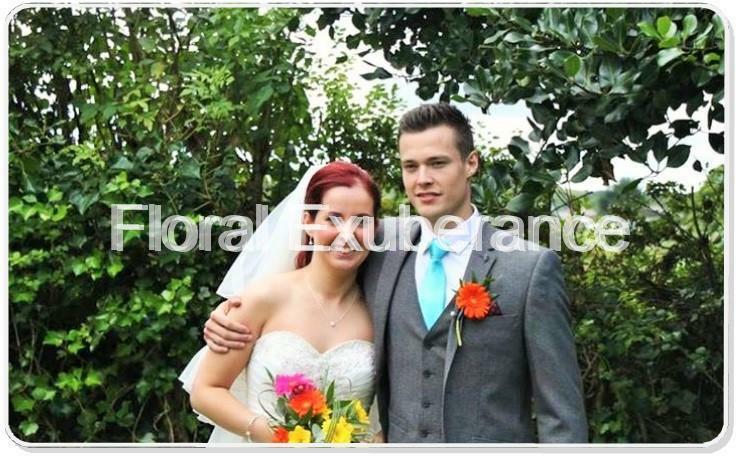 We delivered to the bride and groom first then set up their venue for them.